Cost: vanillafromtahiti.com sent these beans for review. 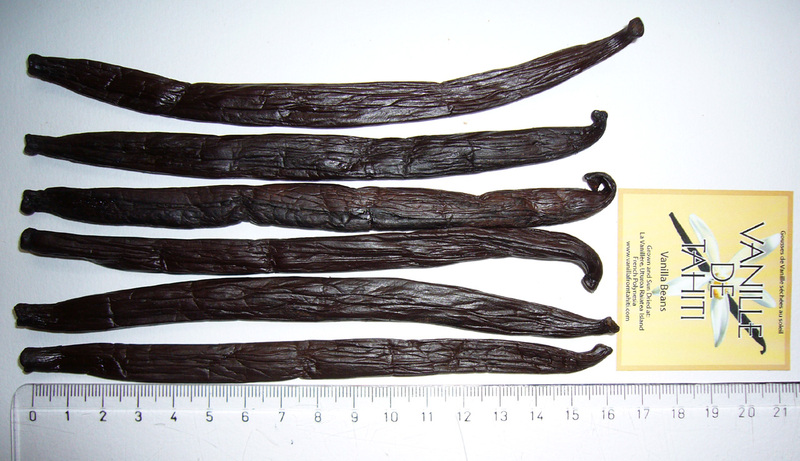 Finally, a source of genuine Tahiti grown Tahitensis vanilla beans! This tahitensis is grown in greenhouses by the award-winning Tahiti Vanille/Raiatea plantation (formerly La Vanillere) in Tahiti. 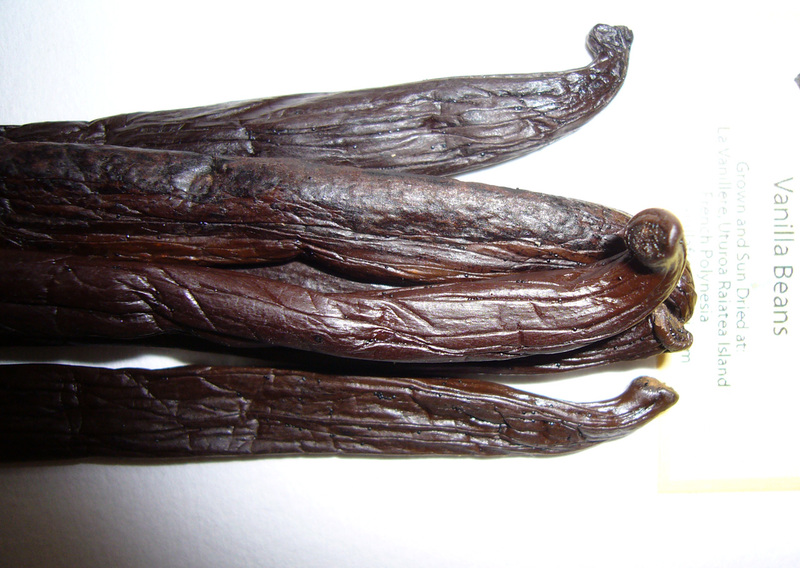 Most vanilla growers sell raw vanilla to curing houses, where is it mixed with vanilla from other farms and cured. 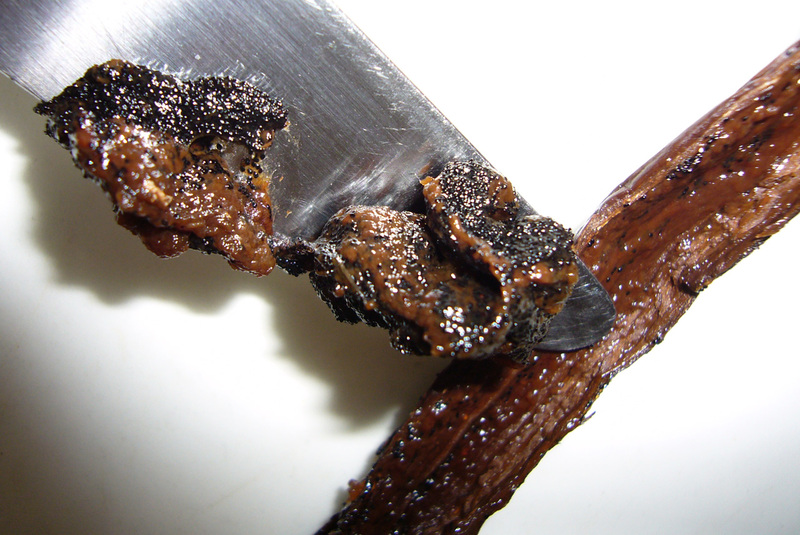 Tahiti Vanille (formerly La Vanillere) cures their own vanilla. 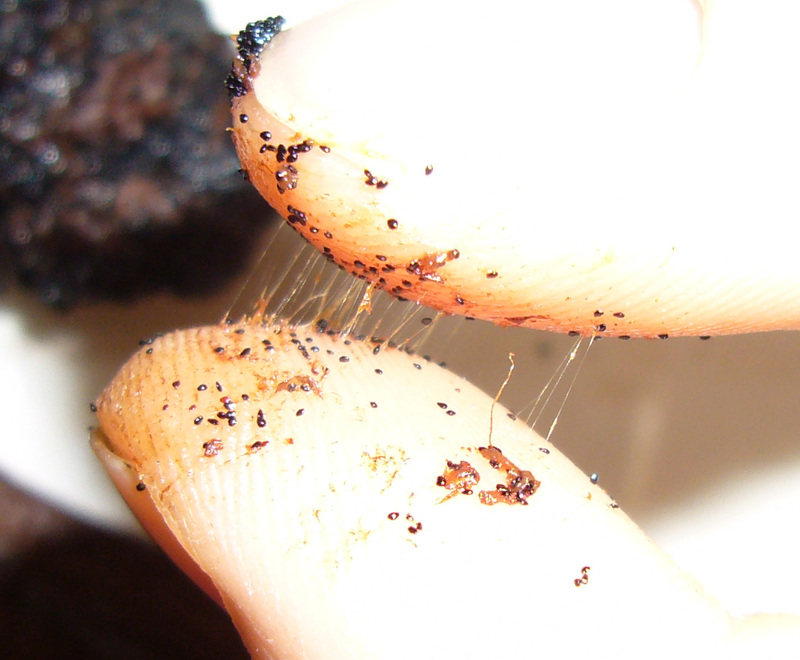 Farm-curing usually means a super high quality boutique product with strong sense of place (terroir). I call it “first world vanilla”. This is the approach favored by vanilla growers in Hawaii, Australia, New Zealand, and a few plantations in Tahiti. These beans will always be more expensive than commercially cured, third world vanilla beans. The beans were packaged in a zip-top bag. These beans are fantastically plump, fragrant, and uniform. Easily some of the nicest beans I’ve ever handled. The skins have a wonderful soft texture. The aroma is much sweeter and ‘cleaner’ than the PNG grown tahitensis beans I’ve reviewed. No chocolate component. Clear, floral, and above all, sweet. The floral aroma hit me every time I walked in my house, even with the beans stored in two layers of zip-bags. People much more important than me say it has a “prune dominance”…ok, maybe. These beans presented a bit of a challenge to cut. I couldn’t get a clean bisection — the skin was too soft and pliable, it stretched and frayed as I cut it. I use the same knife in all the reviews, extract to gourmet, and never have a problem getting a nice slice. A razor might be more effective. Not a negative, just use the proper cutting equipment. Inside, the beans are even more amazing. 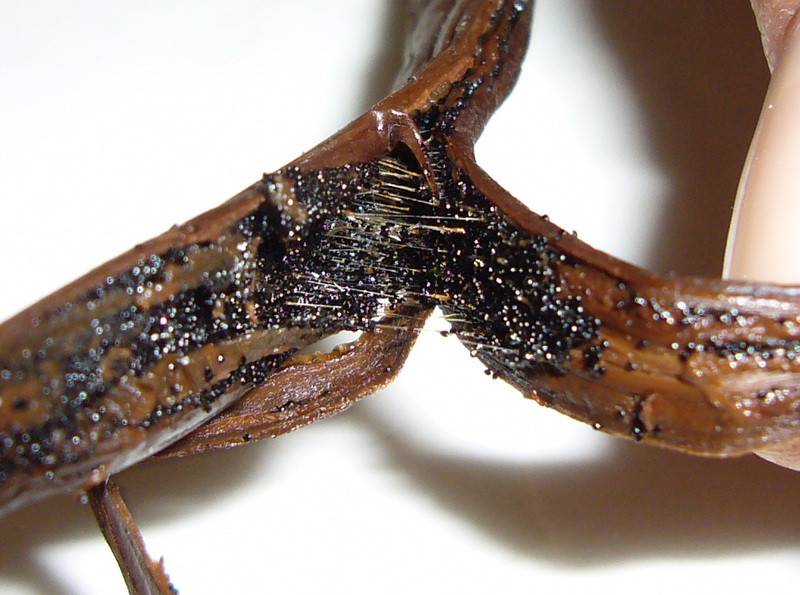 Sticky strings formed, stretched, and broke between the two halves as I pulled them apart — check out the picture. Super gooey and sticky caviar. Moist to the point of being gooey. Heavy caviar yield for only six beans. The oiliness of the bean was apparent when my fingers made the same strings as the beans! See the picture below. Peter at vanillafromtahiti.com said these beans weren’t intended for extract. He’s right. I think the moisture content is very high — but thats ok! These beans are intended for five star deserts, not extract bottles. But that won’t stop us. So far, the extract is fantastic. After only 4 hours the extract was darker than others after a month. If you intend to make extract with these beans, use a bunch — according to the FDA you need to compensate for the extra moisture (above 25%) with more beans. Six medium beans weighed in at about 40 grams, 6.5 grams each. vanillafromtahiti.com also sells mini, short, and long beans. Beans are sold by quantity, rather than weight, but these beans were all consistent in size, weight, and plumpness. At the time of this writing, a 100 gram (nearly 1/4 lb) bag of medium beans is available for $45. 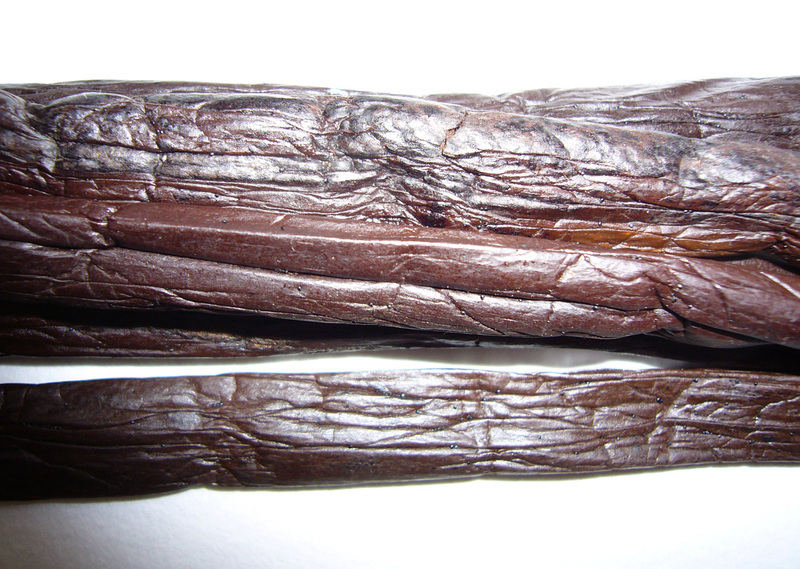 Bottom line — “cleanest”, strongest, sweetest tahitensis aroma I’ve encountered. This is real farm-cured Tahitian Vanilla, and vanillafromtahiti.com has it at the best prices I’ve seen. I think Peter was a bit appalled that I was going to cut up these fantastic beans to make extract — he also sent along their own extract made with Tahiti Vanille/Raiatea (formerly La Vanillere) vanilla beans. This extract is more like my hand crafted extract than any commercial extract I’ve seen. 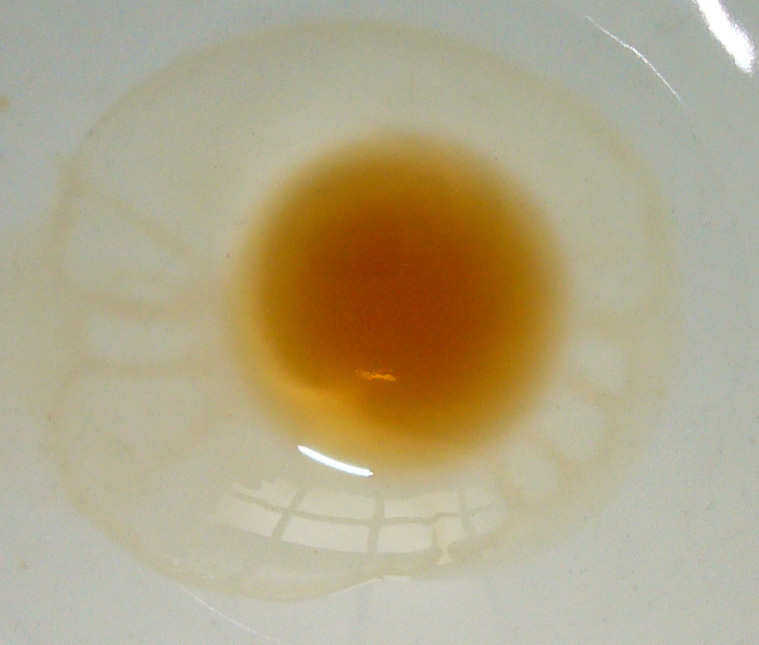 Its a bit murky and light in color, unlike most dark translucent commercial extracts. Its not cut with sweeteners, an adulterant commonly used to reduce the alcohol smell. 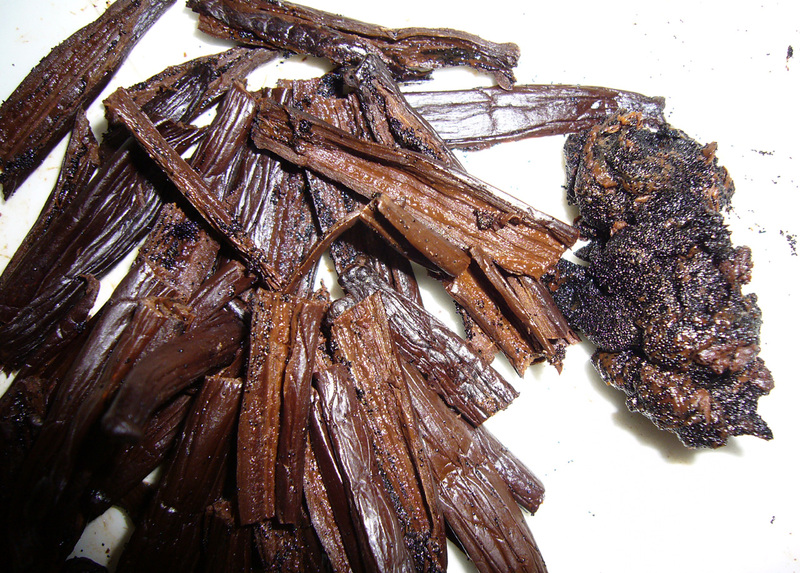 Your review gave me the confidence to order vanilla beans from VanillaFromTahiti.com since the Tahitian beans are quite expensive. I ordered a few products (short and medium vanilla beans and olive oil infused with beans) from them on Saturday night, received by email a confirmation with a tracking number on Sunday, and received the package by U.S. Postal Service on Monday. They shipped the package from Santa Barbara, CA, USA, and I live in Southern California. 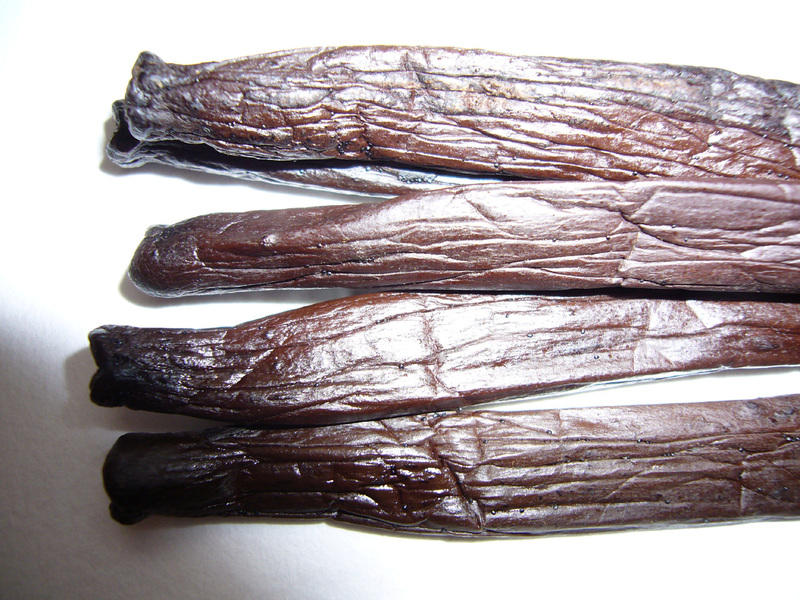 The beans were all very dark brown, plump, very glossy and very flexible and supple with an extremely beautiful fragrance. The fragrance did remind me to prunes. I was very pleased with the response and the exquisite beans. 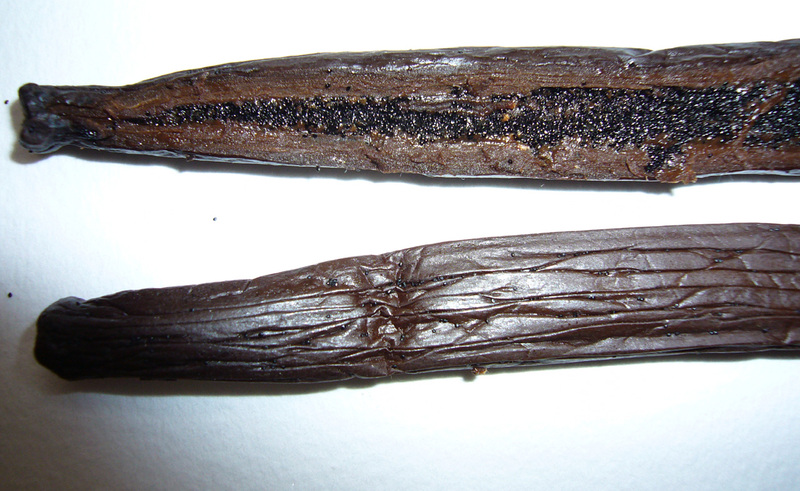 These truly are the most beautiful vanilla beans I’ve seen thus far. I used 1/4 pound of the short beans for a 750 ml. bottle of vodka; the following day the extract-to-be vodka smelled wonderful with no “alcohol sensation.” It will be very difficult to patiently wait for the extract process to be completed.